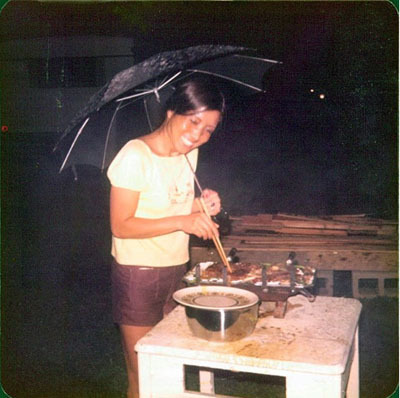 I love this picture of my mom - cooking bugogi in the dark and in the rain. She makes the best bugogi in the world. Oh, look how cute she is! What a fantastic picture. You look sooooo much like your mum! I just realized she is cooking with chop sticks. It's bulgogi, not bugogi! Yum.